Single tickets go on sale Saturday, Sept. 8 at 9 a.m. for the three-week run at Hartford's Bushnell. The show will play Dec. 11 to 30 at the 2,800-seat Mortensen Hall,. Tickets go on sale that day at www.bushnell.org and at The Bushnell Box Office (166 Capitol Avenue). Tickets will be available for performances December 11 – December 30, 2018. 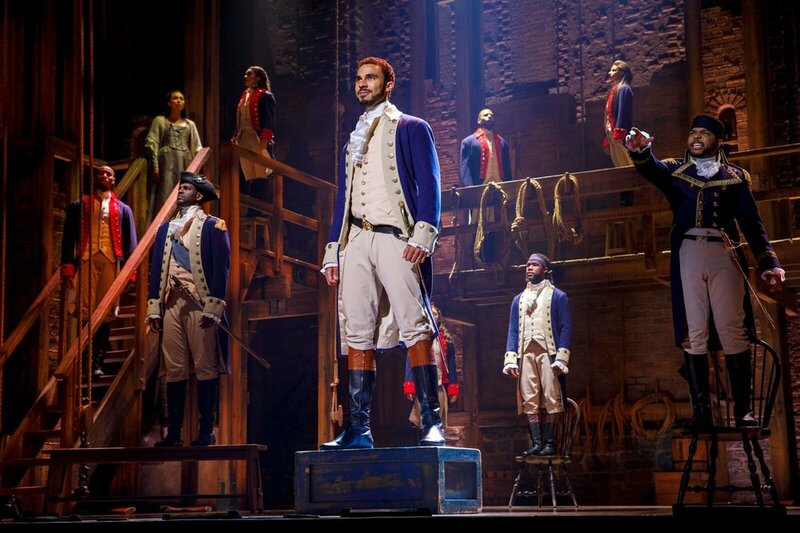 “The producers of "Hamilton”’ say half of all the tickets will be available to the general public. For the three week run this is a bit more than 30,000 tickets. The other half is available for renewing, new subscribers and donors to the Bushnell. I will also be presenting "10 Things to Know Before You See Hamilton" at The Mark Twain House & Museum on Thursday, Sept 13, from 7 to 8:30 p.m.
Rizzo has previously presented a three-class course about the musical for University of Hartfords Presidents' College and has lectured about the show in venues in Connecticut and New York City. In his audio-visual presentation, Rizzo describes the back story of the shows creation, discusses how the artistic team developed the work over time, reveals how accurate the musical is to history, and talks about Hamilton's impact on education, politics, and culture. By breaking down a song or two, he'll also show why the musical is as revolutionary as its subject matter.